UAVs—unmanned aerial vehicles, remotely piloted aircraft; the labels vary—are a disruptive technology on par with computers and smartphones. Present since soon after the dawn of manned aviation, they have become controversial only in recent times. UAVs—unmanned aerial vehicles, remotely piloted aircraft; the labels vary—are a disruptive technology on par with computers and smartphones. Present since soon after the dawn of manned aviation, they have become controversial only in recent times. 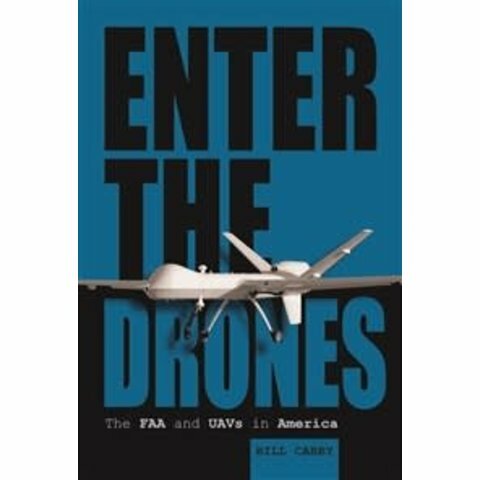 In the United States, the mainstream media has painted them with a broad brush as "drones" with a warlike past, and civil liberties organizations warn of their impact on individual privacy rights. But a promising new industry beckons—UAVs can be useful for farming, filmmaking, law enforcement and sundry other missions. Entrepreneurs and aerospace manufacturers alike want them freed to fly for commercial purposes, and the US Congress has answered with a mandate to make that happen. Caught in the middle is the staid, bureaucratic Federal Aviation Administration, whose sacred mission is to protect the safety of America's skies. 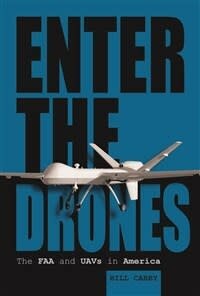 Enter the Drones cuts through the hyperbole over UAVs to explain the considerable challenges the FAA faces. Published 2016, 192 pages, 61 colour and Black & White Photographs, hardcover, 6" x 9"